Fiberglass swimming pool diving boards tend to endure a large amount of duress, and over time the finish can begin to fade in the place where jumping feet meet the board. You can rejuvenate the appearance of your diving board by applying a fresh coat of paint. However, because the surface will be exposed to chlorine, you have to refinish it with a paint formulated to resist the chemical's corrosive effects. 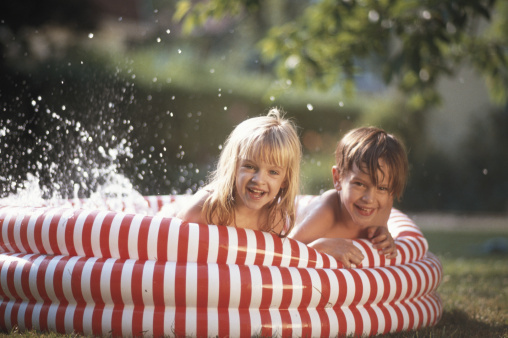 Ensure that your paint is specifically intended for swimming pools. Drain the water from the swimming pool, and lay fabric drop cloths beneath the diving board. Remove any loose, peeling paint by scraping it free with a metallic putty knife. Smooth any chipping paint by sanding it with 120-grit sandpaper. Abrade the surface of the diving board to encourage paint adhesion by sanding it with 400-grit sandpaper. Collect paint chips with a vacuum or a broom and dust pan. 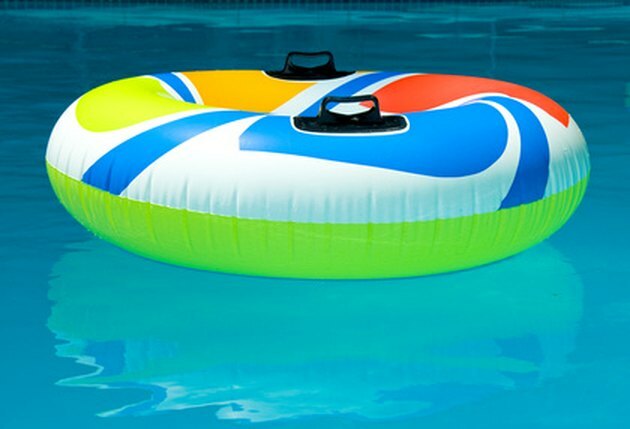 Apply Aqua Luster pool paint using a latex brush. Apply a thin coat. Do not attempt to cover the fiberglass diving board in one coat as this will lead to unattractive brush strokes in the finish. Allow the surface to dry for three hours, and then apply another light coat. Allow the surface to dry for three hours, and then apply additional coats as necessary.